Toyota Motor North America held its 2018 Fleet Executive Meeting at its new corporate headquarters in Plano, Texas, June 5 to 7. 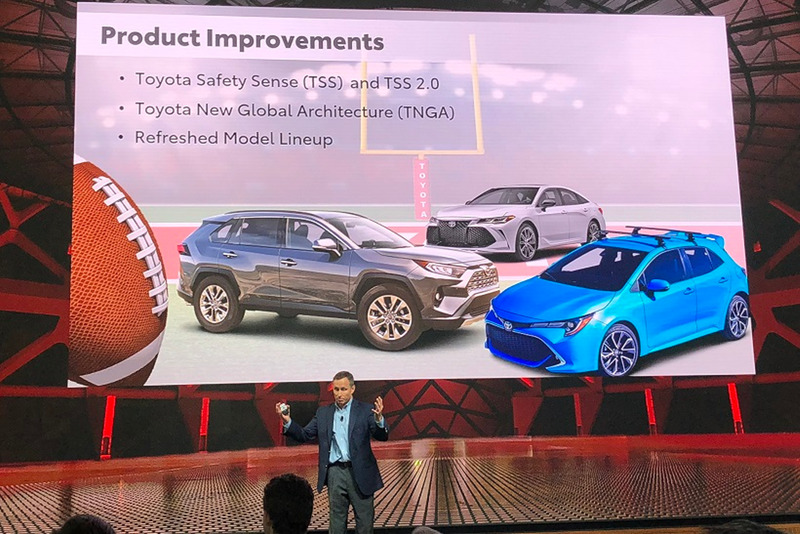 During the two-day event, attendees had an opportunity to tour the new facilities; listen to in-depth product presentations from subject-matter experts; get a preview of the new-model rollout schedules; and test-drive the Toyota vehicle lineup, including three redesigned 2019 models – RAV4, Avalon, and Corolla Hatchback, which are now built on the Toyota New Global Architecture (TNGA) platform. Photos by Mike Antich.